Paige Bueckers had given her oral commitment to attend UConn to women’s basketball coach Geno Auriemma awhile ago, she said, but waited until Monday to turn to Twitter and make her decision public. Sure it was April 1. But this was no joke because the No. 1 player in the Class of 2020 is dead serious about the game and about her choice of the Huskies. “They have everything,” Bueckers said Monday night. “I feel Coach Auriemma will get the best out of me. UConn always has a team-first attitude, even with all the individual accolades they get. They do things the right way. Bueckers, a 5-foot-11 junior guard from Eden Prairie, Minnesota, also considered Duke, Maryland, Minnesota, Notre Dame, Oregon, Oregon State, South Carolina, Texas, and UCLA. 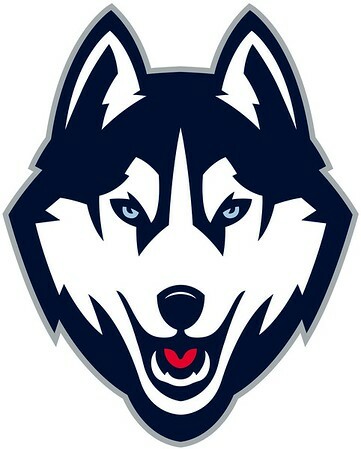 She is the first player from the Class of 2020 to choose UConn and will be the first player from Minnesota to play for Auriemma since Sarah Northway (1995-97). Bueckers averaged 24.4 points, 5.4 assists, 4.7 rebounds, and 4.6 steals per game in leading Hopkins to a perfect 32-0 season and the Class 4A state tournament title. She was named the Gatorade state Player of the Year for the second straight season and reached the 2,000-point plateau for her career. In the championship game against Stillwater on March 16, she had 13 points, five rebounds, seven assists, and five steals. The Royals - who had lost three consecutive state finals with Bueckers - overcame a six-point deficit to win 74-45, outscoring Stillwater 47-12 in the final 16 minutes. Bueckers has already made an impression with USA Basketball, winning gold medals at the 2017 FIBA Americas U-16 Championship, the 2018 FIBA U-17 World Cup, and in the 3x3 competition at the 2018 Youth Olympic Games. She averaged 10.1 points, 7.0 rebounds, 5.1 assists, and 3.4 steals in the U-17 triumph in Belarus last year and is hopeful she’ll be invited to next month’s trials for the U-19 team that will be coached by Louisville’s Jeff Walz. Her coach with the U-16 and U-17 teams was Tufts University coach and former UConn standout Carla Berube. “When she was with the U-16s she came off the bench and was a real spark for us,” Berube said. “We knew then as a staff that she’s going to be special. But she came back for the U-17s trials last May and she had taken a huge jump. Her 3-point shot was better, her ballhandling and decisions - which were always good - were better, her defense was better. UConn will get a chance to win its record 12th national championship in its record 20th NCAA Final Four appearance this weekend. The Huskies will face reigning champion Notre Dame Friday in a semifinal game at Amalie Arena in Tampa, Florida. When Berube sees Bueckers in action, she thinks of a former UConn star who has been a big-time winner at the college, professional, and international levels. “Paige has some D (Diana Taurasi) in her,” Berube said. “She can be cocky, but she can back it up. Other players love playing with Paige. They play hard for her and she brings out the best in them. She’s one of the best passers I’ve seen and I’ve played with some good ones. She has some flash but can stay under control and make good decisions. Bueckers will sign her letter of intent in November. Posted in Newington Town Crier, UConn on Tuesday, 2 April 2019 21:27. Updated: Tuesday, 2 April 2019 21:30.